The way you play the game of golf has a lot to do with the final score you shoot. I don’t mean how you grip the club, set up to the ball or even how you swing the golf club. What I mean is how you approach each shot during the round, your golf mindset. When someone asks you how you played after a round and your answer is ‘I hit some really big drives, and it could have been anything’. You are focusing on the ego side of your golf game instead of playing from a competitive mindset. Golfers love to brag and I too used to be this way. It’s a great to talk about how big or fantastic some of your shots were. However, the score that you write down on the scorecard at the end of the round is the only true measure of performance. Would you rather hit 5 big drives and shoot 90 or hit 3 smaller but more accurate drives and shoot 78? I know which score one I would prefer! It’s a great feeling hitting a huge drive over 300 yards but it doesn’t always guarantee a good score on the hole. You still have to hit a good second shot to the hole and take no more than 2 putts to make your par. 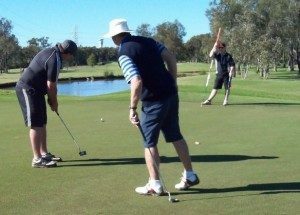 Being able to brag to your mates is great and hard to resist, but if it inhibits your overall score then perhaps you need a change of golf mindset. 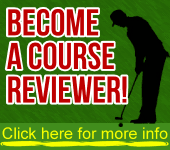 Play to your strengths around the golf course to play better competitive golf. If you have a great short game don’t be afraid to lay up on longer par 4’s and 5’s and back yourself to get up and down for par or better. Just because it seems more impressive to your mates to say you reached the green in two on a long par 5 hole, it means nothing if you followed with a 3 putt. Or if trying for a reachable par 4 with a big tee shot results in playing your second shot from deep in trouble and an over par score, just remember keep in control, play the percentage shot, manage your way round and use your golfing mind set. Become a competitive golfer and leave your ego at home. You may not hit too many “shots of the day” but your game will prove more consistent, your scores will be lower and handicap will continue to drop.